Please note that the English translation of the Studentenwerk (Student Services) Erlangen-Nürnberg web pages regarding accommodation does not exactly correspond to the German version. The translation is up-to-date as regards content but a little less extensive. All essential information is covered, however some points are more detailed in the German version. Regrettably, not all of the forms and rental fee tables are available in English. Now you can apply online. Please use this opportunity. The online application is very easy. Before completing and sending your online application form, please inform yourself about the different types of apartments. If you also need a car parking space, please check out in which of our apartment buildings and halls of residence parking-places (usually for a fee) can be rented. Welcome to the accommodation section of our online presence. 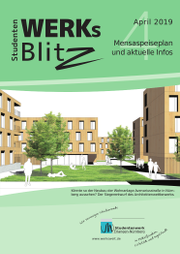 Here you can find out everything you need to know about student accommodation in the vicinity of the universities that Studentenwerk (Student Services) Erlangen-Nürnberg is responsible for. Read up on the varied and interesting services we provide. There are over 3,500 apartments in our apartment buildings and halls of residence, with various kinds of rooms and at very favourable conditions. 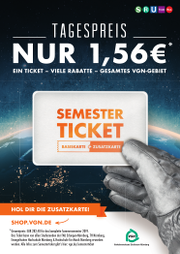 Studentenwerk also offers free of charge referral of accommodation on the private residential market in Erlangen and Nürnberg (Housing referral); we also provide students looking for accommodation with offers from halls of residence run by other organisations to some extent. Students enrolled at any of the universities that we serve can also use our contact information in order to apply for accommodation at other private and state-aided halls of residence and apartments. Looking for accommodation has regularly proven to be especially difficult during the last few weeks before the start of the winter term. It is a little less difficult before the summer semester. Not everyone can immediately find accommodation at a hall of residence; this is also a problem for those not familiar with the area and for foreigners. Please take a look at our tips for first-year students. In our housing search section, you will find plenty of tips and advice regarding the variety of options for student accommodation in the vicinity of your university, whether in a hall of residence or elsewhere. Even if you don’t succeed in gaining admission to one of our halls of residence right away, you should secure your option of moving in at a later date by submitting an application. You can download the appropriate form here. The “Our Halls of Residence“ section provides essential information regarding living in the students’ residences run by Studentenwerk Erlangen-Nürnberg as well as lots of information for our (prospective) tenants. You can also find important facts concerning the length of your stay at our halls of residence. Special conditions for admission and renting apply for those foreign students who come here to study for a period of up to 12 months and are referred to us from a list at the university (for further details, see “Housing quota for foreign students in special university admissions programmes (SOK)“). If you are interested in environmental protection at students’ residences, you can find some information here.